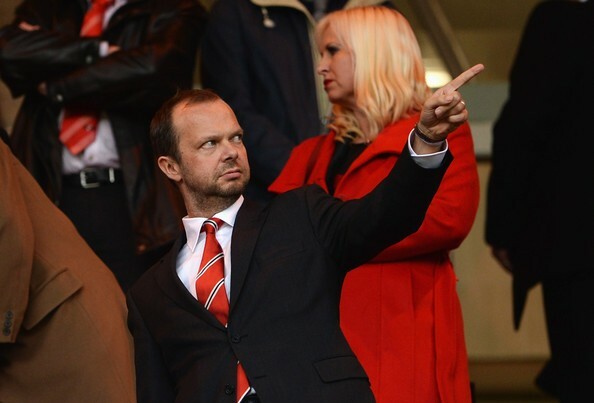 Manchester United have spent over £250m in signing players since Louis van Gaal has taken over the club. Red Devils’ chief executive Ed Woodward has said the club will continue to splash the cash in signing players as they look to further strengthen the squad in the coming transfer windows. The Daily Mail reports United chief confirming the Old Trafford outfit’s ambition of continue to look to strengthen the squad and to reward young talent at a Fans Forum. In Van Gaal’s first season at the club, he signed Angel Di Maria and Radamel Falcao. Both the South American duo have left after a disappointing one year under the guidance of the former Barcelona and Bayern Munich manager. Falcao has joined Chelsea on a season-long loan and his struggle has continued. Earlier in the summer, United signed Memphis Depay, Anthony Martial, Bastian Schweinsteiger and Morgan Schneiderlin, along with free agent Sergio Romero arrived at Old Trafford. Woodward wants the Premier League giants to not only invest on world class players, but also nurture youngsters. For long, United have seen young players coming up through the ranks of the club’s youth setup and then make their way into the first team. One of the latest example is Brazilian Andreas Pereira and Woodward is hoping that several youngsters could follow his footsteps. This news would be exciting for United fans, mainly due to the fact that their beloved club has decided not to ignore the academy. So far, Van Gaal has given first team debuts to Paddy McNair, Jesse Lingard, Pereira, Tyler Blackett, while summer signings Shaw and Martial have excelled under the Dutchman.